Each one of us has perceptions of reality about how the world works—or should work, at least. 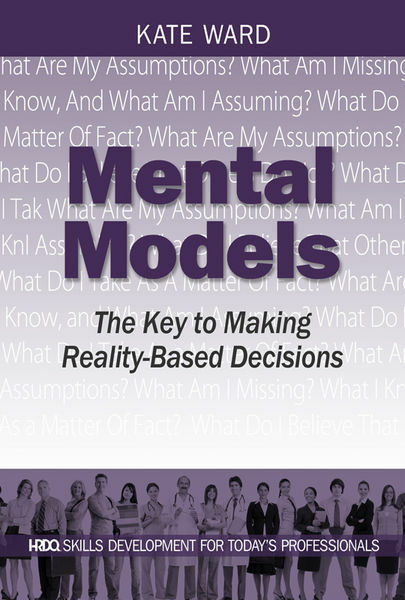 Built from everyday experiences, outside influences, and rewarded behavior, mental models are the driving force that guides our thinking, provides understanding, and directs our decision making. And just like a computer’s hard drive, these fundamental assumptions and internal beliefs need to be updated and reconstructed on a regular basis. Mental Models: The Key to Making Reality-Based Decisions helps you to tune into your current mindset by assessing, examining, and evaluating your current mental models. Using interactive exercises and activities, this e-book will help you to discover how to better anticipate change, seek new opportunities, and approach work in a way that minimizes mistakes, improves your performance, and gives you a competitive advantage. If you want to open your mind to a world of well-grounded decisions, this e-book is for you. Take charge of your career growth and improvement with HRDQ e-Books, the skills development resource for today’s professionals.